You may work like a slave all day long, but you can chill out like royalty after hours in a sturdy, colorful queen size hammock. 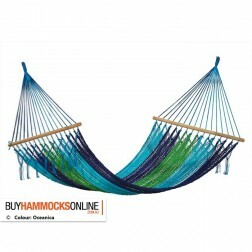 Purchase one from buyhammocksonline.com.au and we'll ship it free, to all capital cities in Australia. (Free shipping* for orders over $35.00.) 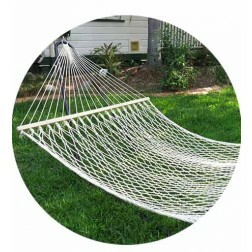 Follow the simple, easy to understand assembly instructions and you'll soon be reclining in your queen hammock, enjoying the gentle breezes, and sipping a cool drink. Put your feet up and forget the stress. 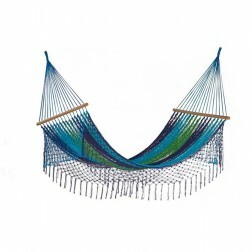 All of our queen size hammocks are hand-crafted in Brazil or Mexico and are fashioned of bright, beautiful ethnic patterns and colors. Material is durable and dense, and manufactured to stand up to outdoor weather. Suspension ropes are sturdy and long-lasting. Our frames and stands are lightweight and durable. You can't ask for more in a hammock. 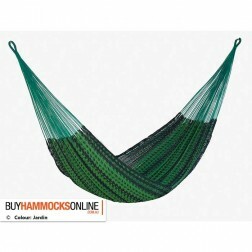 Choose the pattern you like best from our online store, place your order for hammock and any needed accessories, and we'll process the shipment as fast as possible. 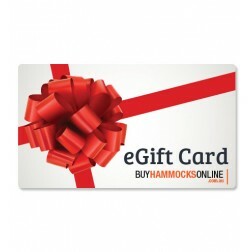 At buyhammocksonline.com.au, we want you to enjoy your moments of relaxation as quickly as possible. A Hammock built for two - How do you do? The queen-size hammocks are slightly larger than a double bed, so you can share your quiet space with another person or close friend, enjoying small talk or cuddling. 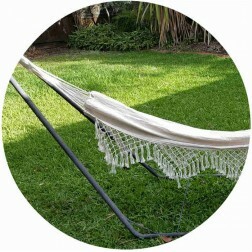 Our pricing allows you to pick one hammock for your yard and one for your getaways. Portability is easy. Simply fold the hammock, disassemble the stand, and you're on your way to the beach or other favorite campsite. 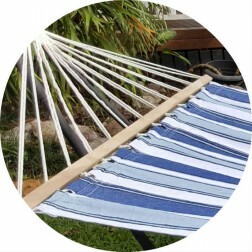 Purchase your comfortable queen-sized hammock from buyhammocksonline.com.au. The buying process is simple and won't stress you out. 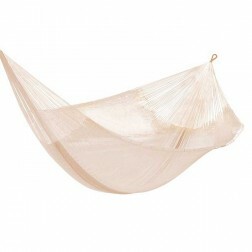 The reasonably priced hammocks on our website won't break your budget either! Many hammocks are more affordable than you might guess. When your colorful, durable hammock arrives (don't forget, free shipping to capital cities Australia! ), assemble it quickly, then jump into relaxation mode. 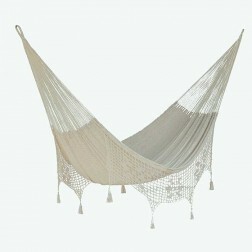 Kick your shoes off, grab a cool drink and a good book, and lay back in your hammock, swinging gently beneath the trees. You'll be so relaxed, you'll find it hard to leave.